A sign marks the entrance to a VA Hospital in Hines, Ill. 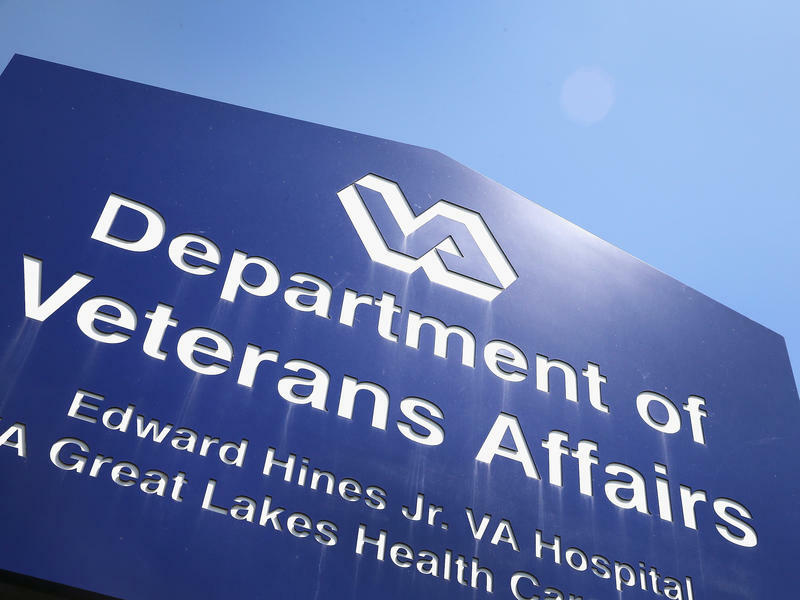 It also found that senior VA managers are sometimes not held accountable for substantiated misconduct and that managers accused of wrongdoing sometimes investigate themselves. Whistleblowers were 10 times more likely than their peers to receive disciplinary action within a year of reporting misconduct. The VA doesn't always maintain required files and documents for adjudication, suggesting that employees may not have received due process. Sixty-six percent of VA employees who filed formal complaints did not work for the VA the following year. VA officials found guilty of misconduct sometimes received a lesser punishment than recommended or no punishment. The GAO report underscores what VA whistleblowers have been saying for years: that too many of those who speak up about mismanagement, fraud or abuse are quickly silenced. And that sometimes they're even investigated by the very managers they're blowing the whistle on. In addition, senior VA officials found guilty by the agency of misconduct — including gross mismanagement, fraud, abuse and whistleblower retaliation — often got a lesser punishment than recommended or no punishment at all. Some senior managers recommended for removal by the VA's accountability office instead got reprimands, counseling or brief suspensions. The report says the VA "did not consistently ensure that allegations of misconduct involving senior officials were reviewed according to investigative standards." It also found that the VA has serious file and data maintenance problems — suggesting, the report says, that employees "may not have received due process." Congresswoman Michelle Lujan Grisham, D-N.M., calls the GAO's findings "alarming and beyond disturbing." "It describes an agency in crisis that has failed to protect whistleblowers and hold senior VA officials accountable for misconduct, jeopardizing veteran health and well-being," Lujan Grisham told NPR . "It means that there is a system that cannot police itself and doesn't appear to be interested in really focusing on improving access and quality of care, a system that won't address its own problems." She requested the GAO investigation along with Colorado Republican Rep. Mike Coffman, who called the report "troubling to say the least." "I've repeatedly called for the secretary and the president to end the culture of bureaucratic incompetence and corruption at the VA, but with failing systems and processes how can this be achieved?" Coffman asked. "The fact that the second-largest federal agency is unable to collect reliable information regarding employee misconduct, adhere to procedures when adjudicating claims, and have multiple [12 to be exact] siloed information systems is disturbing," Coffman told NPR. Lujan Grisham, who is now running for governor of New Mexico, says the report shows the need for the Department of Justice to oversee how the VA handles misconduct and retaliation cases, and to create a federal commission to look into these issues. "There needs to be a message to these senior officials immediately that they're going to be held accountable. They weren't held accountable for the wait-time scandal. I can't find the scandal were anyone in the V.A. system has ever been held accountable," she said. VA Press Secretary Curt Cashour pointed out that the GAO's report "focuses almost entirely on misconduct and whistleblower cases during the Obama administration. Everyone recognizes that in the Obama-era, VA struggled to hold employees accountable when they violated the public trust and to protect whistleblowers from retaliation," Cashour wrote in a statement. Cashour added that the VA under President Trump has revamped its accountability arm, the Office of Accountability and Whistleblower Protection (OAWP). He said the OAWP today is "ensuring adequate investigation and correction of wrongdoing throughout the VA, and protecting employees who lawfully disclose wrongdoing from retaliation." The GAO's report is not based solely on Obama-era data. The oversight body looked at VA employee misconduct data from 12 information systems operated by various VA components from October 2009 through July 2017. The number of VA workers fired is up under President Trump. But congressional Democrats and the VA's union cite VA data showing that the vast majority of those fired in the first five months of 2018 were low-level food service, laundry and custodial staff the majority of whom are veterans. In that same period, only 15 out of 1,096 employees fired were supervisors. This report comes as the VA's own inspector general has publicly clashed recently with the VA leadership over access to documents and information about whistleblower adjudication. A recent NPR investigation showed a pattern of often vicious whistleblower retaliation at the VA in central Alabama and sidelining of whistleblowers in Indiana. There's also a news report this week that the VA, under Acting Secretary Peter O'Rourke, is aggressively reassigning or forcing out VA staff members thought to be disloyal to President Trump and his agenda for the agency. At a congressional hearing this week, O'Rourke defended the agency as undergoing "historic, transformative changes" that "are going to change the status quo." But at the hearing, U.S. Rep. Kathleen Rice, D-N.Y., questioned O'Rourke on why VA managers who try to silence employees still often face little or no punishment. "Why does it seem — seems to me there's always the benefit of the doubt given to the people who retaliate against whistleblowers?" Rice asked. "I don't agree with that," O'Rourke said. "Well, O.K., but we've seen example after example of it," Rice said. To improve things, the GAO offers 16 detailed recommendations, including that the secretary issue clear, written guidance on accountability actions for all substantiated misconduct cases and overhaul record-retention procedures. In the report, the VA says it agrees with nine of the recommendations and partially concurs with five. Copyright 2018 NPR. To see more, visit http://www.npr.org/.